I love myself a good podcast. I like to think of myself as some what of an educated young lady. I don't think I have ever said a more up myself statement, than that before on my blog but eh, there is always room for a first. Where was I? Oh yeah, podcasts...I bloody love the things! 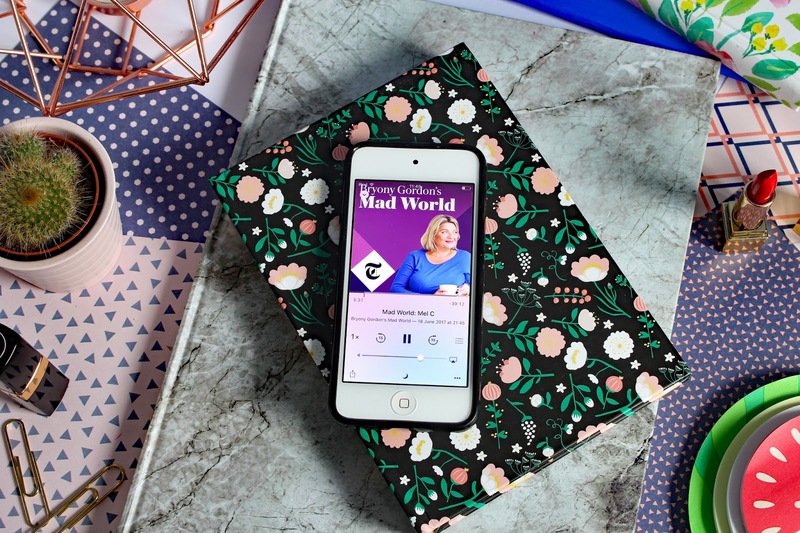 I listen to podcasts on a broad range of subjects, from mental health, books and feminism to name a few. I think podcasts are really underrated, most people just tune into to Youtube when they're bored or listen to music, but I have found listening to Podcasts a much more productive use of my time. Unlike listening to music or watching the same Jermery Kyle compilation videos on YouTube (Don't judge me) I actually learn something! Listening to podcasts broadens my knowledge and understanding on a wide range of different topics. I get to listen to others perspectives on issues, which I may not have thought of. I often learn new information and more importantly, they give me food for thought. They often leave me going away thinking about the topic they have discussed. More than any Jermery Kyle video will ever do. I've included a mix of well known and smaller podcasts in this list, I really hope you find one you like. Let's get amongst it. 8 PM every Saturday on Talk Radio, Harriet Minter, Natalie Campbell and Emma Sexton talk all things feminism and womanhood. They share their outspoken opinions on a wide range of topical talks and inspirational conversation around women's issues. Whether that be periods, dating, gender pay gap issues or health and well-being. 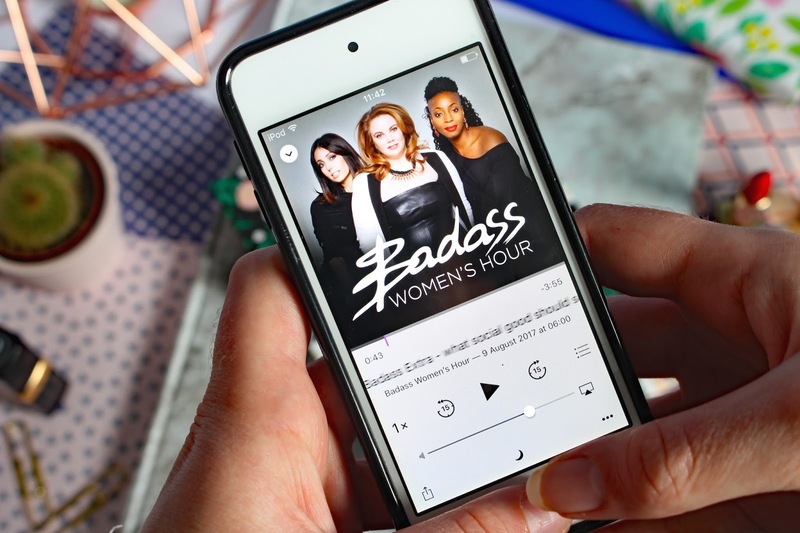 They include segments where they talk about recent headlines affecting women, answer your problems and highlight an important 'Badass women' from the past, who we should all know about. I love the issues raised in this podcast, as an intersectional feminist and advocate of women's rights. They give me a lot of food for thought, and I find it really interesting to hear different opinions on a topic, I may not have thought of. If you're a feminist or into topical feminist issues, give it a listen! I couldn't mention a post about podcasts without mentioning, my good old friend Mike. Mike is a mental health and lifestyle blogger and podcaster. Mike talks honestly and openly about mental health, including his own personal struggles with mental illness as well as talking to other people who struggle with their mental health. As a mental health blogger, myself I find reading and listening to other people's experiences valuable to me, as I'm sure so many other people have found as well. Mike talks to other bloggers about their experiences of anxiety and depression, as well as discussing some more topical debates such as the recent TV show 13 Reasons Why. I highly recommend you give Mike's podcast a listen if you struggle with your mental health or want to learn more about mental illness, in a very relaxed, chatty atmosphere. Bryony Gordon is a columnist for the Newspaper, The Telegraph. OCD sufferer and author of the book ' Mad world' which I've recommended a lot on my blog in the past, Bryony knows a fair bit about mental health. In this 10 part series, she talks to celebrities, authors and even royalty about their struggles with mental health. In a very open and frank way, they discuss their lives and how mental illness has manifested itself in some way, during their life. Yes, even royalty are affected by mental illness. That's what I love most about this podcast, they challenge the stereotype that only a particular group of people are affected by mental illness, which as Bryony and her guests prove is just not the case at all. Bryony is absolutely hilarious, and I couldn't recommend this podcast enough. 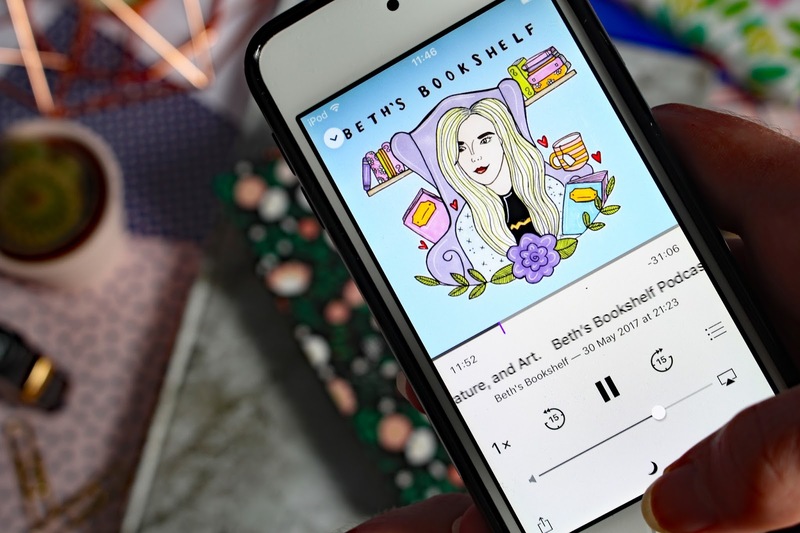 Now on to a podcast that I've only just started listening to; Beth's Bookshelf. 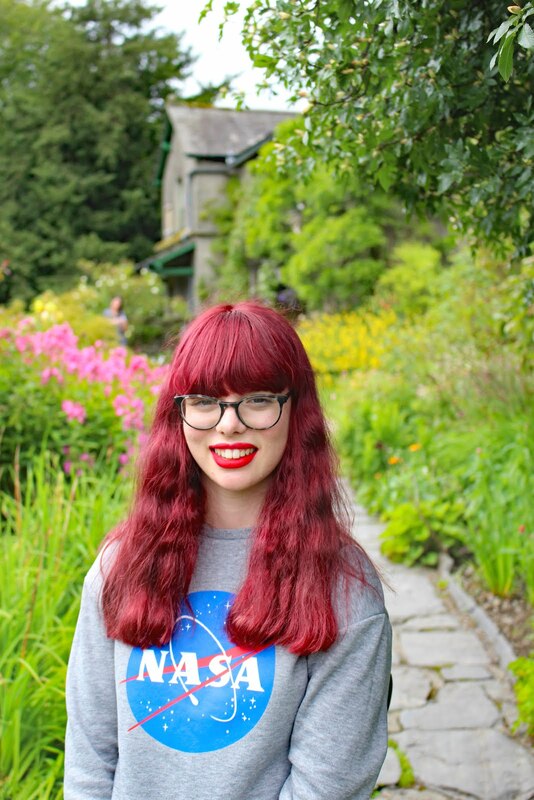 Beth is a lovely friend of mine, who is a blogger, podcaster and magazine editor. Beth talks to authors and creatives about their relationship with literature and their creatives backgrounds. She gets to talk to authors about their writing process and how they come up with their ideas to hopefully inspire young and aspiring writers and readers out there. 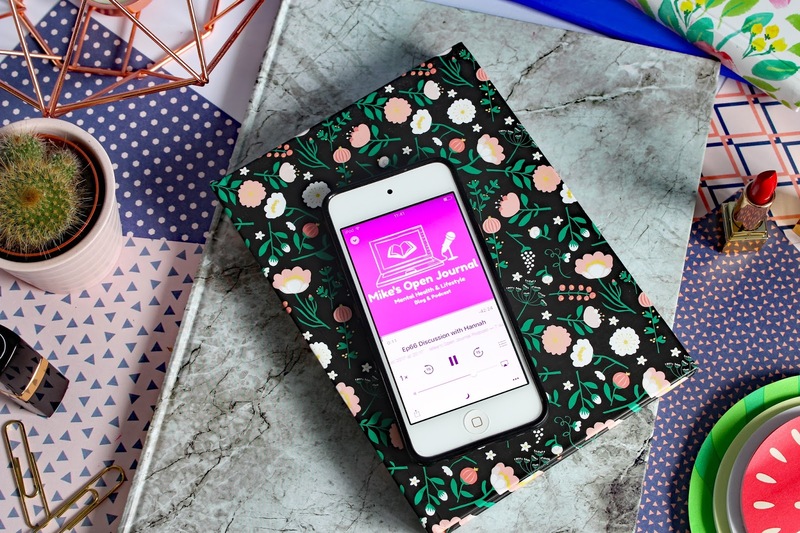 If you love reading or are interested in finding out more about the authors of your favourite books, this podcast will be right up your street. I also will be appearing on this Podcast (Thanks Beth for having me) so if you are interested in listening to me ramble about mental health, make sure you give it a listen. 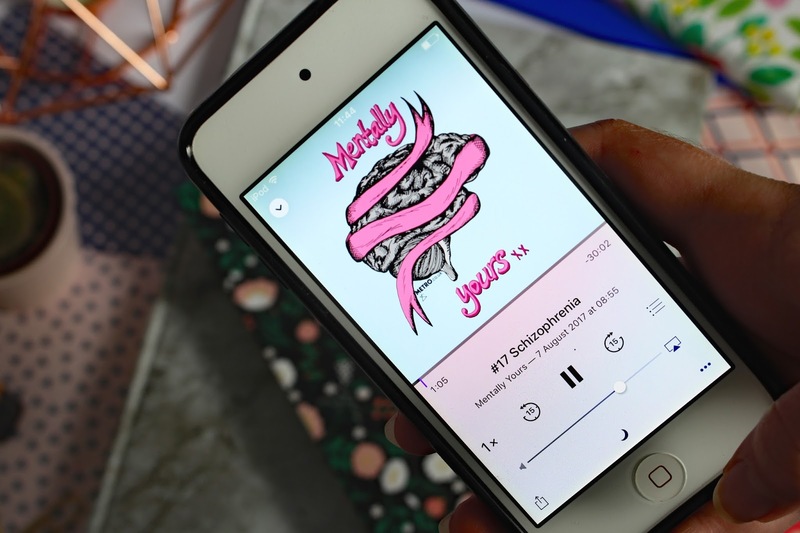 Mentally Yours is a podcast brought to you by Metro. Yvette Caster and Ellen Scott talk to a new guest every week and discuss all things mental health. What I love in particular is how each episode has a theme. They talk about one mental health issue each week including anxiety, OCD and PTSD. They also talk about lesser known mental health conditions including; emetophobia and Fugue state. Like the other mental health podcasts I've discussed, they speak openly and honestly about those individuals personal experiences, how they dealt with it and advice for listeners going through similar situations. If you need to learn more about mental health, I recommend listening to personal stories, and there is no better way to do that than listening to Mentally Yours. 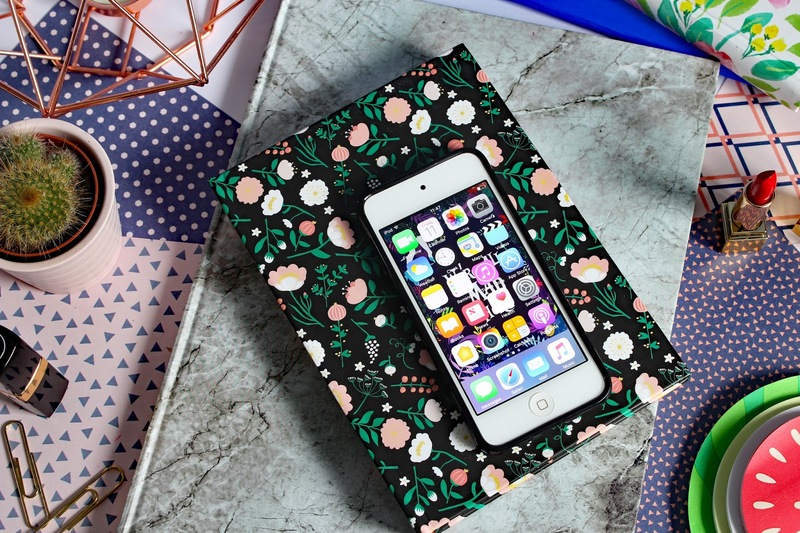 I really hope you find some new podcasts to listen to from reading this post. If you don't already listen to podcasts, you are seriously missing out. I hope this has given you an excellent introduction into the world of podcasting. There are so many other podcasts I could have mentioned so maybe I'll do a part two soon. What are your favourite podcasts? Let me know, in the comments below. I'll have to give mike's podcast a listen, sounds fab!